Catherine Brennan with iconic refutation of gender theory. Don’t worry: There are dicks everywhere. About six weeks ago, Samantha Allen, a trans* activist and scholar in the US, published an incisive piece at Jacobin — a site I always find thought-provoking. I’m an endangered species. Nearly half of people like me attempt suicide. Hundreds of us are murdered annually and, worldwide, that rate is only increasing. Those of us who have a job and a place to live often lose them both; too many of us can’t acquire either in the first place. What I am is a transgender woman, one of the lucky ones. What she runs up against is that it’s perfectly easy to be a victim in the US media, but once you start defending your life instead of letting it be described, all hell breaks loose. While the article deals with many threats to trans* existence, her focus is not physical violence but political erasure. There’s still a strong phalanx of Western feminists who hate the idea of “gender.” They believe in woman as biological essence: they reject the notion that sexual roles are produced by social forces, and instead trace social repression back to women’s genital-given ability to make babies (which patriarchy needs to harness to keep going). This is at least a defensible idea, but one of its adherents’ traits is a deep loathing of transgender people, who embody, if that’s the right word, all the gendery blurriness they abjure and abhor. 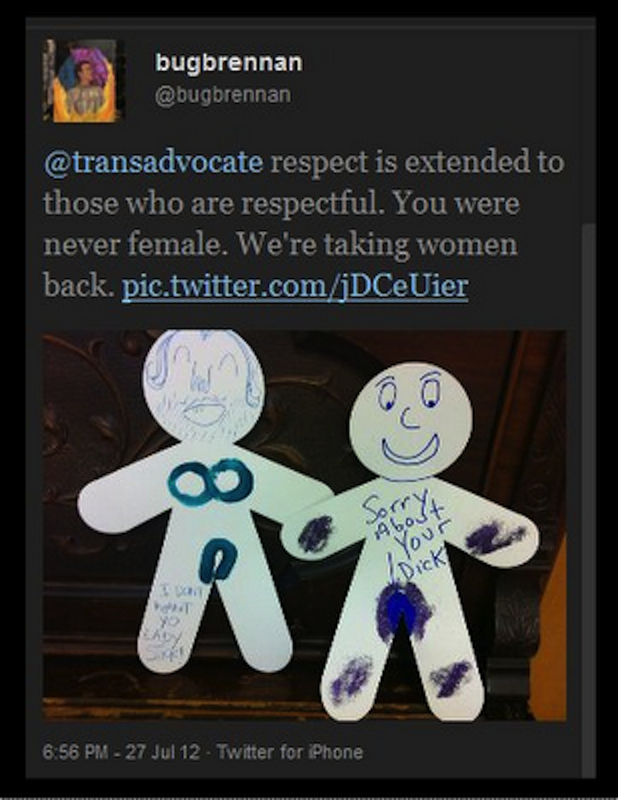 To them, trans* women are deluded men who want to weasel into women’s spaces, at best as spies, at worst as rapists. Ideas exist not in an ideal but in the real world, and one way to judge them is not by their consistency with other ideas but by whether they have victims. By that standard, an idea that breeds hatred — in this case, against an already vulnerable group of people — has its problems. Allen’s essay was mainly a positive call for the left to take trans* issues seriously. But Brennan, a litigious soul, particularly disliked the paragraph about her. She didn’t try to refute any of the points. She threatened to sue the publisher. Brennan’s action was in obvious imitation of Peter Tatchell, who has threatened various people in the past — publishers both small and large, and, on at least two separate occasions, employers — with lawsuits in response to criticism of his work and tactics. (Some accounts of Tatchell’s attempts at censorship can be found here, and here, and here, and here.) Until it was partially reformed this year (after a number of researchers and scholars had been hauled into court, accused of defamation for disagreeing with others), England’s libel law was among the worst threats to free speech in any soi-disant democracy. As the UK’s Libel Reform Campaign (a joint project of Index on Censorship, PEN, and Sense about Science) said, the law was “chilling global freedom of expression, by silencing writers, journalists, bloggers and human rights activists in the UK and around the world.” It was Peter’s favorite weapon. Unsurprisingly, libel reform is perhaps the one widely popular campaign in Great Britain, short of the EDL, that Tatchell never endorsed. Some activists oppose power instinctively. Some activists instinctively love power. There’s a long history, for example, of feminists who honorably oppose patriarchy turning to the patriarchal State, not just for protection but to silence their opponents. Real activism does not succeed through seizing power, though, but by transforming it. Its progress is impossible without critique and disagreement. When you shut down criticism by other activists and movements, and police your way into a specious authority beyond argument, you lose your claims to credibility. You also poison the atmosphere of diversity and debate, the only air that true thought and politics can possibly breathe. I thought of this recently, after I wrote my own criticism of Hillel Neuer and his baltageya at “UN Watch.” Neuer’s group is not, in any proper sense, a human rights organization. Instead, they spend their time attacking human rights activists, mostly for insufficient adulation of Israel. In this case, Neuer had launched an assault on the reputation of Mona Seif, a heroic campaigner against military rule and military trials in Egypt. I pointed out the indefensibility and falsehood of Neuer’s allegations, and his obvious political motivations. Fine. (It’s the Southern Poverty Law Center, by the way.) This came at the top of a chain of forwarded emails urging people to “do something” about me, which the sender apparently forgot to delete. But when I scrolled to the bottom, through archaeological layers of abuse, I discovered that the originating email came from Peter Tatchell, imploring Hillel Neuer to sue me. It may be true that I’m “impervious to criticism,” at least in comparison to Peter, who takes note of every mild demurral for future retaliation. I don’t think it’s possible to do human rights activism unless you have a thicker skin than that. On the “appeals to conscience,” though, I am in doubt. I have checked with my conscience, which is in session 24/7 with special judges on hand for night court, and it has no record of such a case being referred to its jurisdiction by a lower tribunal. I’d encourage Peter to pursue this recourse, and submit his documents as soon as possible. My conscience can’t wait to see what the appeal would look like. This all serves as a reminder that the full documentation of Peter’s attempts to go after me deserves to be online, and I really should post it for the connoisseurs. Harvard told him to climb back in his yellow submarine. Nonetheless, the whole thing suggests a degree of drivenness in Peter’s pursuit of me that pushes at the pale of sense. When Peter reaches out to UN Watch, though, it’s not funny. For him to embrace that band of Likudnik thugs puts the lie, at a minimum, to his intermittent professions of support for Palestine. As I said above: bad ideas have victims. Tatchell allies himself with a State-sponsored enemy of the United Nations’s rights work, of Israeli civil society, of Palestinian aspirations for freedom, and of genuine human rights heroes like Mona Seif in Egypt; and what can you say? He reveals that his carefully cultivated idea of himself doesn’t care about the consequences. No rights activist should prefer Hillel Neuer to Mona Seif and the Egyptian revolutionaries. But Peter’s amour-propre is prepared to inflict collateral damage on anybody who gets in its way. 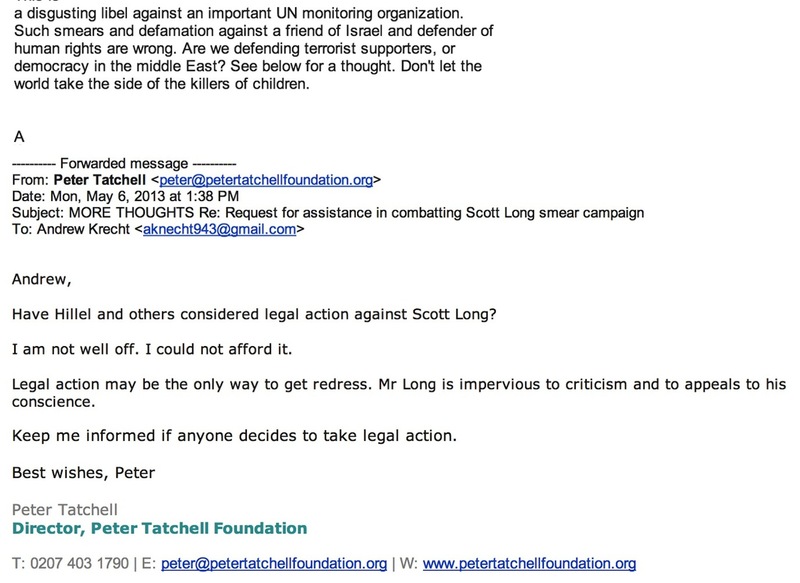 Peter obviously would like to scare me himself, and I doubt that his lack of funds is a deterrent; surely the “Peter Tatchell Foundation” could contribute its resources to a rights-advancing lawsuit. The reasons, rather, are twofold: my lack of funds, and the fact that he’d rather move furtively and through figureheads than in the open. But if he’s willing to come out, I can certainly help. I don’t take Peter seriously; most human rights activists don’t. He is primarily concerned with self-promotion. His advertisements for himself exploit the work of serious grassroots activists in the global South while disregarding their agency — and sometimes callously endangering their safety. For the most part, he puts out a stream of press releases with endless quotations from himself. These do little to dislodge injustice, but they do qualify him as what the French call, expressively, a pisseur de copie. Finally, like many so absorbed with themselves, he is deeply insecure; he tends the delicate flower of his minor celebrity with an intemperate rage at those who question or critique him. He’ll take down real activists like Mona Seif and others if they are in the line of fire. Now, Peter: Please sue. I look forward to hearing from you. Hillel Neuer (and Catherine Brennan) will have to wait in line. Meanwhile, there are constructive lessons. It remains important to defang these people who are too absorbed by the vicissitudes of reputation to address criticism or participate in discourse. You can learn about the UK Libel Reform Campaign (which still has work to do) here. To support Jacobin Magazine, and the principles of independent journalism, please donate to their legal defense fund here. This entry was posted in Gender Identity, Human Rights, LGBT Rights, Politics, Uncategorized and tagged Cathy Brennan, gender identity, Hillel Neuer, Jacobin, libel, Libel Reform Campaign, Mona Seif, Peter Tatchell, Samantha Allen, Scott Long, UN Watch by scottlong1980. Bookmark the permalink. Oh what a total prick the pompous and deceitful Mr Tatchell is! He would be hilarious if he weren’t so dangerous. So many people are tired of his “advertisements for himself”. Sorry you or anybody has to put up with him as we do here in his home territory. Alas what a Fraud is Peter Tatchell! Won’t someone PLEASE join me in begging Hillil Neuer to help us squash Peter Tatchell like a bug?!! I know Peter Tatchell and have worked with him, or tried to. It is very obvious to me and others that Tatchell is a person capable of the most shocking lies, someone who either out of lack of principle or just plain narcissism has no sense of the objective truth, except as it benefits him. His persecution of Scott Long for years, – there is no other word for it – and his harassment of Jin Haritaworn and his fellow authors are proof that he will do anything to defend his public image and his SELF image, without regard for others or for the facts. More than eight years after they first disagreed on Iran, he is still chasing Scott Long with his harassment, and will continue to chase him to the ends of the earth. But more than 30 years after he lost the election in Bermondsey (a race in which he attempted to closet his sexuality and was unwillingly “outed”, – something that perchance accounts for his revengeful willingness to expose others’ private lives, a point on which I have often argued with him) he still emits impotent threats to have the election results overturned, as if that were possible or just! Such is the symptom of obsession. A person like this is deluded and in fact dangerous; he will continue to cause harm to people in the course of his reckless career. Many of the people he will harm are more effective and more honest and competent activists than he, and he will pursue them because he cannot stand to know that superiority in his heart: no damage to his SELF image can pass unpunished. I hope he will retire from activism and seek healing for his personal wounds and anger, but having seen him up close “and personal,” I have little hope. The only hope is that he will lose his following in press and public as they tire of his repetitious praise of himself. I see the signs that this is happening, now, with sadness for the damage it will cause him, but indeed with some relief. Thank you for posting this. It reveals a great deal about the dubious character of this troubling (and, I believe, troubled) man, but also does not begin to reveal the problems he creates. One problem that is posed by Tatchell is that his brand of unserious “stunt” activism and his publicity-seeking drive all the air out of the room for activists and LGBT movements that are trying to do serious work. He raises money non-stop and with apparent success in Britain, though he does nothing original but tweet about research and campaigns that others have undertaken. His “Foundation” appears to do little but provide a platform for him to indulge in speaking tours. In these senses, he is a parasite on the body of campaigns for social change, not a proper campaigner. The resources he absorbs could be devoted to vastly better use, whilst he uses the media not to draw attention to important issues (on which, in any case, others have almost always taken the lead) but to draw attention to himself. 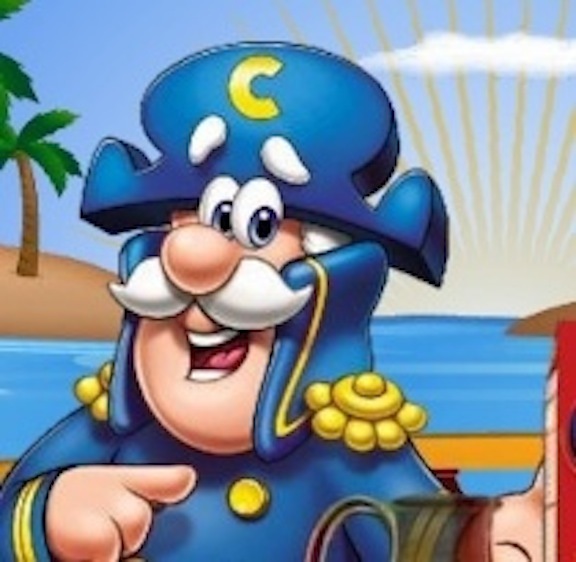 I hope that pointing to his public deceptions will take some of “the air” out of his image. The air is hot because he has been pumping hot air for a very long time now! Thank you again for starting the process of showing how he is not to be trusted, which I hope will lead to some consideration of how the Tatchell Problem might be countered. Ben-Yours is an intelligent & well-considered obsv. of what seems to me a very angry, deeply Reactionary narcissist. The more that I read of & listen to Mr. Tatchell, the more struck I am by the uncanny similarities in personality issues between him & those of the notopious Michael Petrellis here. Some important points of distinction: Tatchell is in possession of far more shrewd, effectively manipulative political skill compared to the latter’s shrill, broad-stroked attacks on any conceivable perspective (foe and) ally who doesn’t swear uncritical support for whatever rambling diktat that passes for Petrellis Doctrine, adjusted for cause du jour. These issues, some substantive & important, others rather parochial always are oddly’Gay-Exclusive’ with a strangeaversion to the oppression&miserysuffered by inconsequential heterosexuals in the “outside” world. The aforementioned ‘Doctrine’ odder still, may morph from stunt to stunt…but unfailingly its design roots its author decisively within the limelight.